People always talk about their achievements. They talk about the promotions they just received, telling us that they worked hard to achieve them. They talk about the marathons they just ran, describing in detail the many painful training sessions that made this possible. They often berate others for their seeming lack of achievement. The rich kid who got a lucrative job at his father’s best friend’s hedge fund, didn’t, we are told, really deserve it. There is something phoney about his achievement. But what are achievements and why do they matter so much? The philosopher Gwen Bradford has being doing quite a lot of work on this topic over the past few years. In this post I want to take a look at some of that work. In particular, I want to look at how she characterises achievements and her defence of the claim that achievements are intrinsically valuable. Before we can even begin to understand the value of achievements, we need to know what they are. It might seem silly to spend time on this question. Surely we all know what achievements are, especially given that we bang on about them all the time? But philosophers like to clarify and complicate, breaking down everyday concepts into their component parts are seeing how they fit together. That’s exactly what Bradford does with the concept of achievement. She says that achievements are characterised by a process-product relation. Thus, an achievement arises when you use a process to produce a product. For example, the recently-promoted worker can be said to have achieved her promotion because she followed a certain process (hard work, dedication etc.) that produced that result. Likewise, the marathon runner can be said to have achieved her success at the marathon because she followed a gruelling training routine and then actually ran the full twenty-six miles that constitutes the marathon. But achievements aren’t just characterised by process-product relations. If I stood up and flicked on the light switch, you wouldn’t commend me for the remarkable achievement of bringing light to the previously dark room. And yet I did follow a process (standing up, flicking the light switch) that produced that result. What is missing from this example? Answer: The process in question wasn’t sufficiently difficult to count as an achievement. In order for X to count as an achievement, it must be brought about via a process that requires some effort or skill to bring about the associated product. This hints at another thing that is needed in order for there to be an achievement. It’s not enough for there to be a process-product relation that involves difficulty. The process must also be sufficiently non-lucky. So, for example, if I win the lottery no one would describe this as a great achievement. This is despite the fact there is a process-product relation (I went to the store and bought the ticket) and despite the fact that it was exceptionally difficult for me to win the lottery. The problem is that I just got lucky. I didn’t bring about the result through the appropriate exercise of skill. As Bradford sees it, competent causation is probably required in order for there to be an achievement. 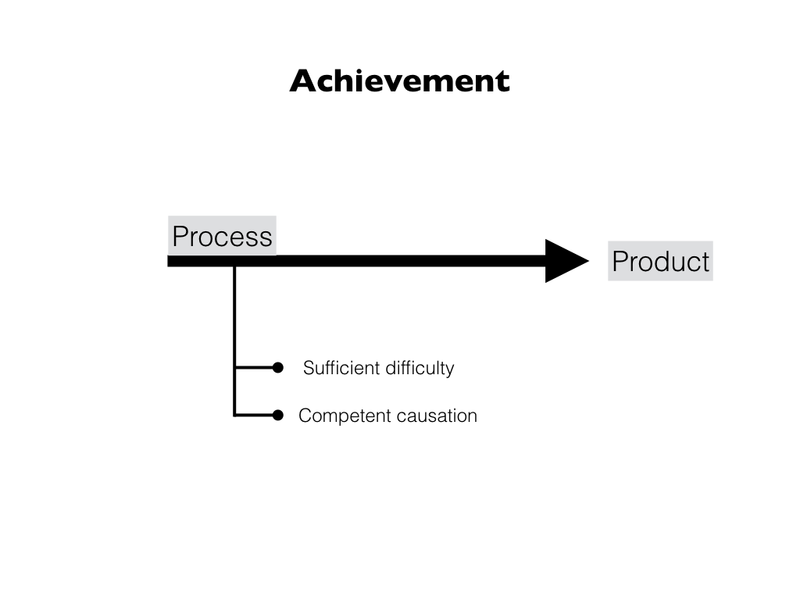 Achievement: In order for there to be an achievement, there must be: (a) a process-product relation; (b) that involves difficulty; and (c) competent causation. I have tried to illustrate this in the diagram below. Now, that we have a clearer understanding of what achievements are, we can turn to the main topic: what kind of value do they have? On this front, Bradford makes two interesting arguments. First, she claims that achievements have intrinsic value, i.e. they are valuable irrespective of the value of the products they produce. And second, the amount of intrinsic value associated with the achievement is proportional to its difficulty, i.e. the more difficult the achievement, the more valuable it is. Both of these arguments are controversial. Let’s see what she has to say in defence of them. Simple Product Theory: This is the view that achievements have value solely in virtue of their products, i.e. if the product is valuable then the achievement is valuable, but if the product is not valuable, then neither is the achievement. There is something to be said for this theory. It appeals to an intuition — one that many have felt — that if you spend your time doing something that is devoid of value, then no matter how difficult it may have been, it is not worthwhile. If you spend your life looking for a cure for cancer, and you succeed in finding one, your achievement is valuable; if you spend your life trying to cause the most painful and vile cancers, and you succeed, then your achievement does not have value. It’s the intrinsic value of the product that determines the value of the achievement. There are two problems with the simple product theory. First, it cannot account for the value of what Bradford calls “zero-value” products. In other words, it cannot account for the value of achieving an outcome that has no significant intrinsic value. Many sports and recreational activities have this quality. Bradford uses two examples: climbing a mountain and running a marathon. In neither case is the end result (being atop a mountain; crossing the finish line) intrinsically valuable (at least, not to any significant degree). Nevertheless, we would happily say that there is value to those achievements. But if we say that and accept that the end products are devoid of value, we must also accept that the value is coming from something else. The most plausible ‘something else’ is from the achievements themselves. Proponents of the simple product theory may have a response to this. They could argue that we have mischaracterised the product in the case of mountain climbing and the marathon running. It is not being atop the mountain or crossing the finish line that matters. Rather, it is the activity of climbing and running that matters. In other words, these processes are, in fact, themselves products and they are intrinsically valuable. The problem with this argument is that it begs the further question: why are these processes intrinsically valuable? Bradford argues that the most plausible answer is because they are difficult and involve triumph over adversity. But in that case the process-as-product view simply reduces to the account of achievements that she is trying to defend. Two Novelists Thought Experiment: Suppose there are two novelists who have produced equally aesthetically valuable books. Smith’s experience while writing the book was typical. He struggled with bouts of procrastination and writer’s block, but he eventually finished the manuscript. Jones’s experience was rather different. He endured all the normal writerly roadblocks, as well as the death of his wife, his beloved pet, and the loss of his home and other property. On top of this, he suffered from clinically diagnosed depression throughout, which made many ordinary days a terrible struggle. Nevertheless, he managed to finish the manuscript. Whose achievement is more valuable? Assuming the books to be of equal quality, the answer seems pretty obvious: Jones’s. He had a much more difficult process. But if that’s right, then the end product is not the only determinant of value. The nature of the process itself confers value on the achievement. This still leaves the question: what happens when the product has negative value? Consider the cancer-causing example from earlier on. If I spend my life causing as much cancer as possible, I have not spent it in a valuable way. Quite the contrary. Surely we would not say that my success in so doing had value? Maybe not, but in light of the preceding arguments, the most sensible thing to say about this example might be that my achievement has some intrinsic value, but that this is massively outweighed (overwhelmed, really) by the intrinsic disvalue of the product. Bradford’s second argument is that the value of an achievement is, in some sense, directly related to its difficulty. The Two Novelists thought experiment hints at this view. In that case, we had two books of equal value produced through two different processes, one of which was much more difficult than the other. We concluded that the more difficult process was more intrinsically valuable. There is, however, a problem with this view. It seems to reduce to the absurd. After all, we can arbitrarily ramp up the difficulty of everything we do. 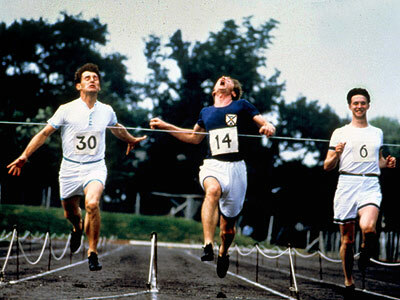 Instead of running a marathon, I can hop a marathon. Instead of climbing a mountain with sophisticated equipment and oxygen, I can climb it freestyle with no oxygen. Does arbitrarily introducing this difficulty make the achievements more valuable? Maybe in some cases, but in others it seems downright wasteful and disrespectful. Imagine someone trying to achieve a cure for cancer who arbitrarily made the process more difficult by insisting on ignoring all the insights gained from previous studies and eschewing all funding offered in support of their work. Suppose they eventually succeed in curing cancer, but do so several years later than they would have done if they had avoided those artificial obstacles. Surely their achievement isn’t more valuable than someone who would have done the same in fewer years? Bradford is inclined to hang tough on this one. She argues that difficulty does make the achievement more valuable. The reason why we are tricking into thinking that a more difficult does not add value is because (a) achievements are not the only valuable things in the world and (b) the value of achievement can conflict with other values. So, for example, in the cancer cure case, the value of curing cancer (and alleviating all the associated suffering) outweighs the value of achieving the cure for cancer. We would rightly disparage someone for making the achievement more difficult because doing so delays or hinders something that could be of great value to others. Contrast that with the person who climbs the mountain without equipment and oxygen. Since nothing of significant intrinsic value is delayed or hindered by making the climb more difficult, we are more willing to entertain the claim that this is a more valuable achievement than that of someone who climbed the mountain with oxygen and equipment. Bradford goes a step further. She illustrates the strength of the claim that difficulty adds value to achievements by considering what life would be like in a world where achievements are the only value available to humans (i.e. a world where condition (a) does not hold). Such a world was imagined by Bernard Suits in his book the Grasshopper. I’ve discussed this work on several occasions. Suits’s book depicts a world of technological and scientific perfection: every human desire and need can be satisfied at the touch of a button or the wave of a hand; and all knowledge has been written down and easily retrieved. This world is a kind of utopia. There is no poverty, hunger or deprivation of any kind. But what then is left for humans to do? The answer, according to Suits, is to play games. This is the only way to derive any value or meaning from life in a world where everything is available at the flick of a switch. But playing a game, according to Suits, requires reintroducing difficulty into the world, i.e. setting up arbitrary obstacles that prevent us from achieving goals in the most efficient manner. So difficult processes are the only source of value in utopia. This seems plausible to me. In many cases, I think we dislike difficulty because it hinders or prevents us from achieving an end that is itself very valuable. This tricks us into thinking that difficulty is a bad thing, but when we consider cases in which the end is not valuable, the difficulty of the process bears a lot of weight. One thing, however, puzzles me. It seems to me that sometimes finding a more efficient process for producing a product is more of an achievement than sticking with a more difficult process. For example, when I was a student solving math problems, I was always something of a plodder. I could solve the problems, but only by following inelegant, brute force methods. One of my friends was a real mathematician. 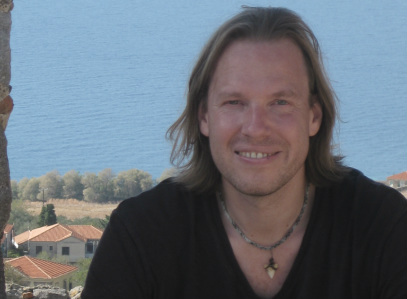 He was able to solve the problems using much simpler, more elegant algorithms. I always viewed his solutions as more of a mathematical achievement than mine, even though I clearly followed a more difficult process. Does this disprove the claim that difficulty increases the value of an achievement? Or is there some way to reconcile it with that claim? Perhaps finding the more elegant and efficient process is more difficult than sticking with the less efficient, less elegant process? I’m not sure. Anyway, that brings us to the end of this post. To briefly recap, Bradford defends a tripartite theory of achievements. According to this theory, an achievement is characterised by (a) a process-product relation, where the process is (b) sufficiently difficult and (c) non-lucky. She argues that achievements are intrinsically valuable, contrary to the simple product theory. And that the more difficult the process the more valuable the achievement.